a solution provider to water management industry. SBHPP glass fiber-reinforced grades provide great design freedom and allow for the integration of different functions in various sanitary components. SBHPP's broad knowledge and extensive material expertise is helping customers around the world to choose the optimal material and create the best possible designs. SBHPP offers materials which meet or exceed the stringent worldwide regulations for water contact. 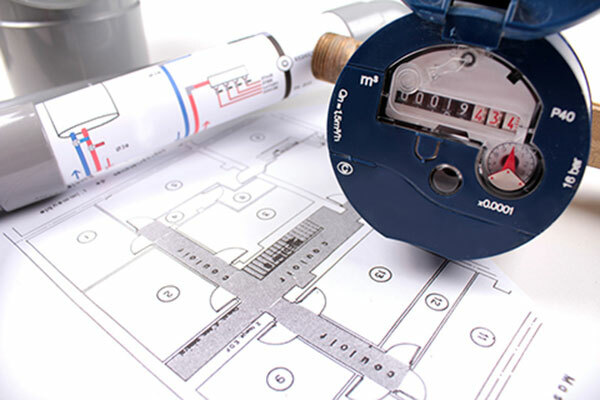 When long-term dimensional stability is a key requirement, such as for water meters, then thermoset plastics from SBHPP are the material of choice. SBHPP thermosetting plastics allow to reduce system cost, integrate functions and improve efficiency. 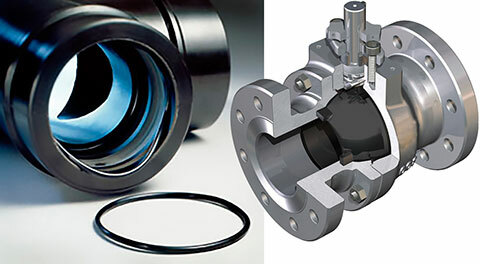 SBHPP materials are used in small to large size fitting and valve systems. Trends in today’s Water industry see a renewed emphasis on durability as well as a continued drive to meet requirements for potable water. But these market trends need to be achieved in a cost effective way. The key characteristics of the SBHPP portfolio are centered around Phenolic chemistry which has a unique position on the cost/performance curve. Durability in terms of Heat and Chemical resistance are a perfect fit for Water Management systems. Cost performance vs Thermoplastics with the same properties provides a significant economic advantage. Thanks to our extensive R&D resources, SBHPP is an industry leader in metal-to-plastic conversion. The combination of a wide portfolio of resins systems & fibers and up to industry standards simulation capabilities allows us responding to the challenges of the water industry’s most innovative engineers. SBHPP compounds can provide low cost, high performance and innovative solutions for a broad range of sanitary taps and shower components. With a high class surface finishing (pure resin, free of fibers), the injected parts made in SBHPP glass fiber compounds are an exceptional substrate for PVD plating techniques. PVD coating directly on SBHPP thermoset plastics can be used to create a scratch-resistant and shiny surface on decorative plastic products. The low coefficient of thermal expansion of SBHPP material substrates enhances the durability requirements of PVD plating. Compared to thermoplastics, SBHPP thermosets can be produced without sink marks even in presence of thick wall thicknesses. Meets all NSF/ANSI 61, KTW and other EU regulations. Provides high mechanical characteristics and creep resistance and meets all NSF/ANSI 61, KTW and other EU regulations. Thermoset discs can subsitute ceramic discs offering cost advantage without compromise on properties. Since many years the mineral and glass fibers reinforced phenolic grade, VYNCOLIT®X659W, is replacing ceramic discs in water cartridges. It provides excellent dimensional stability even at high temperatures, mechanical performances (high E-modulus, creep resistance), hardness, corrosion, and abrasion resistances. In order to ensure durable sealing, the discs should be maintained under pressure by the housing cartridge. When made in thermoplastics the housing, submitted to temperature variations, often warps/elongates over long term (due to poor creep resistance of thermoplastics). 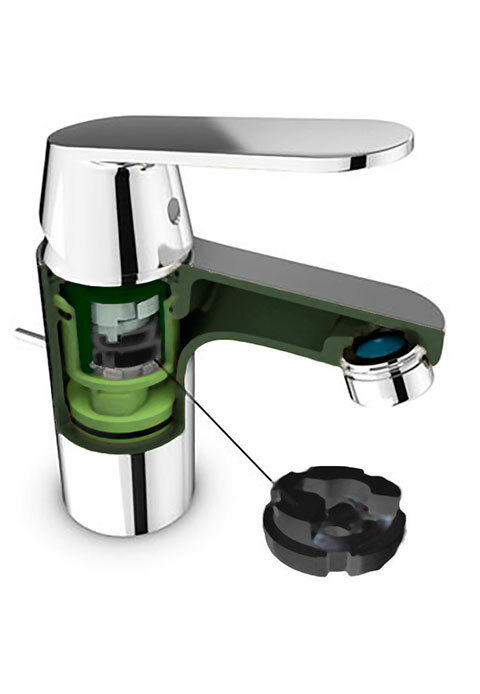 This permanent deformation results in faucet leakage, the discs being no more maintained close together. Thermosets materials offer a sharp advantage vs. thermoplastics. Thanks to their tridimensional chemical structure, the creep resistance of SBHPP thermoset compounds is incomparably higher than thermoplastics, similar to aluminum alloys. SBHPP thermosetting plastics rival brass and largely supersede engineering thermoplastics creep resistance (PPS, PSU, PPE, etc.). Creep is the tendency of a material to deform when stress is applied over a long period of time. It can have a significant effect on the longterm performance of a plastic component, especially when operating under significant stress like for faucet internal parts. The long term mechanical performance and creep resistance of thermoset-plastics has been proven in multiple automotive drive train related applications. Numerous high performance parts (e.g. oil pumps, pulleys, valve blocks...) are fastened with bolts without using inserts. Designing adapter or base fixation internal faucet parts with thermosetplastics is much easier than with thermoplastics. Thermoset-plastics doesn’t require to be designed with equal wall thicknesses which is simplifying the conception and give freedom to the engineers. In concealed in-wall applications that require long-lasting performance SBHPP thermoset composite materials can provide creep resistance, consistent hydrolytic stability, excellent mechanical properties and design freedom (integration, wall thickness) to economically replace low-lead brass casting bodies and internal parts. Compared to low-lead brass foundry, the manufacturing process of thermoset-concealed-components doesn’t require extensive machining operations. Components can be often directly injection molded at the final required dimensions that ensure a long-lasting sealing. For legacy purpose (fitting features), brass or metal inserts can be easily overmolded when necessary. 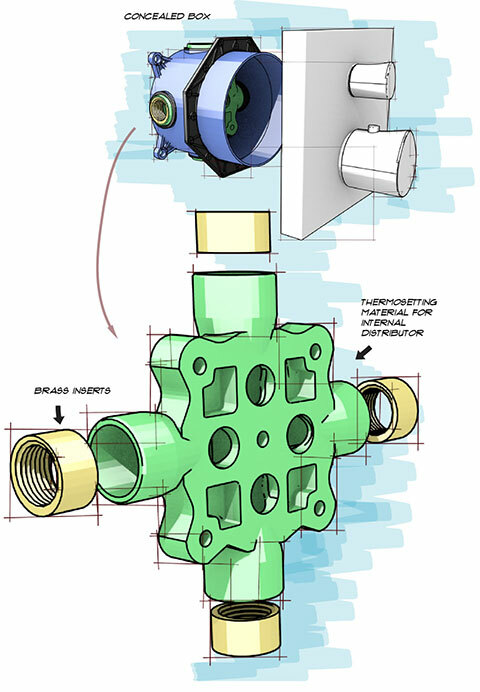 In components such as water pump housings, inlet & outlet covers, bushings and impellers, SBHPP thermosetting plastics allow to reduce system cost, integrate functions and improve efficiency. Material selection depends on specific operating conditions. Another clear advantage of thermoset plastics compared to thermoplastic materials is the high design freedom. Thermoset materials allow designing with huge variations in wall thickness. The typical effects of sink marks and part warpage as a result of wall thickness variation in thermoplastic material do not apply for thermoset materials. Additionally whatever filler reinforcement is being used in the thermoset-plastic a high quality surface can be achieved with molded parts. The top layer (a few μm) of the molded part is constituted out of resin without arising fiber. Upon molding the part takes over the surface of the mold, a high quality polished mold surface results into a high quality part surface. Self-lubricating SBHPP thermoset plastics can deliver a longer service life than most metal bearings and offer a part cost reduction at the same time. Dry running capabilities are much better for thermoset plastics compared to metal bearing solutions. Thermoset plastics have excellent antifriction and low-wear characteristics that produce a self-lubricating effect. Dry run conditions accelerate wear in metal bearings whereas plastic bearings run "lubricated" from the start. SBHPP thermoset-plastics can deliver excellent hydrolytic stability to pump applications where parts are constantly exposed to water. Glass bead & fiber-reinforced products such as VYNCOLIT BXE650W grade can provide reliable dimensional accuracy & stability, long term creep and material fatigue requirements of parts such as housings and impelers. Combines low coefficient of friction, high mechanical characteristics and creep resistance. Thermoset plastics withstand exceptionally well repeated exposure to high temperatures in combination with high pressure over a long time. The three dimensional chemical structure of thermoset material is naturally non fusible and dimensional stable in a wide temperature range. 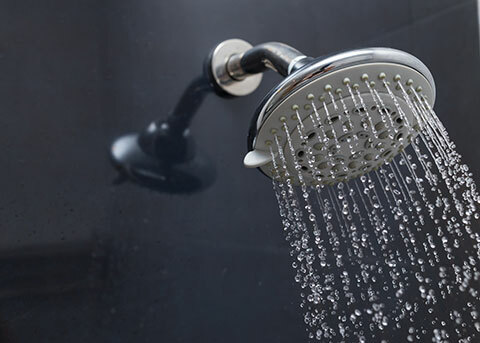 In addition SBHPP grades exhibit tight molding tolerances, very low and constant coefficient of thermal expansion from cold to hot water temperature that ensure a long lasting stability and accuracy of metering systems. Glass fiber-reinforced grades provide great design freedom and allow for the integration of different functions in various components. With consistent physical structure and elevated glass transition temperature (>190°C on cured molded part) SBHPP glass fiber-reinforced grades can be used on ultrasonic metering systems providing a constant signal transmission over the range of operating temperatures. Shows long term resistance in hot water media. Such systems are designed for industrial applications such as commercial buildings, oil, energy & petrochemical industries, manufacturing & process industries and marine applications. Fitting systems made of SBHPP glass fiber-reinforced thermoset-plastics exhibit high strength properties, light weight and corrosion resistance compared to conventional metal systems. It reduces the risk of bacterial growth due to smooth and non-porous surfaces. 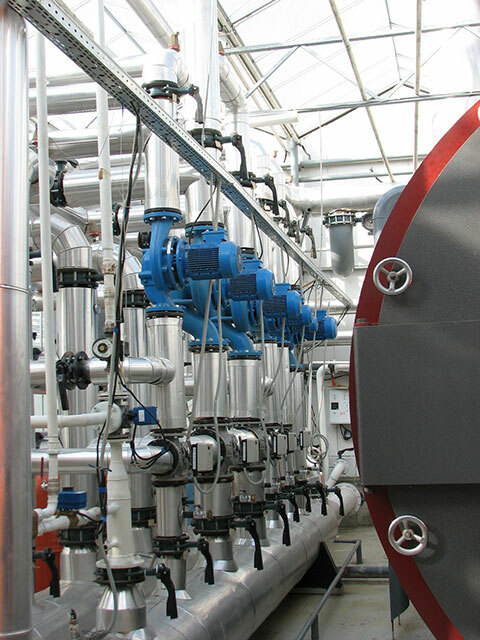 SBHPP material reduces need for maintenance and replacement in corrosive environments. Thermoset-plastics offer an outstanding solution to large size ball valves where thermoplastics (POM, Polyamide) cannot perform. The ability of thermoset-plastics to be molded in large thickness and large thickness variation allow to obtain the ball directly from molding at the right shapes (sphere) and dimensions – particularly for the largest size. Moreover the creep resistance and the sliding performance of thermoset grade like VYNCOLIT X659W improve the valve operation and prevent leakage. For water applications, SBHPP offers materials which meet or exceed the stringent worldwide regulations for water contact. There are regional differences for the certification of materials, parts and products having direct contact with potable water. In USA, the requirements are defined by NSF 61. In Europe, the dominant national requirements for potable water are KTW & W270 for Germany, ACS for France and WRAS for UK. Furthermore the requirements become more stringent. The new requirements introduced by the European Union (EU), applicable beginning January 2016, change the types of glass additives for polymers that are allowed to be in contact with food and therefore with potable water. Typically materials are tested at elevated temperatures in order to validate the stability in water. The release of organic and inorganic components is measured. In addition the water used during material validation is tested for odor and flavor to ensure water quality. 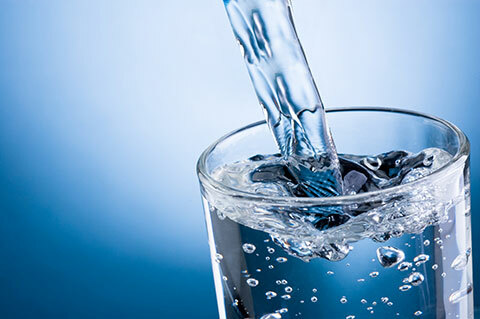 SBHPP has validated the drinking water grades using test parts. Copies of the documents are available for our customers on request and can be used for submittals. In the end, parts & products needs to be tested and certified by the OEM for the specific end-use. The SBHPP materials have been thoroughly tested and validated to ensure an easy and almost risk-less final certification. Approved by NSF/ANSI 61, KTW and other EU agencies.